Which Is Better, Instagram Ads or Instagram Bot? No doubt, Instagram has become an essential tool for business marketing and advertising. Since it was acquired by the social media giant, Facebook, in 2012, the photo-sharing network has quickly grown to accommodate over 800 million active users who share over 100 million images daily. This makes it an effective tool for business owners who want to make visual statements to impress their customers. Businesses can now leverage on Instagram to reach a far more significant audience at almost no cost and establish a unique interactive relationship with their followers. With such leverage, business owners can stay ahead of their competitors and drive sales for their business in the most cost-effective and hassle-free way possible. Of course, Instagram allows some options and strategies for business owners to market their proposition. However, you need to understand the best policy from the various options available for you to make the best use of the platform. Although free methods of promoting businesses, such as the use of appropriate hashtags, posting at proper times and use of quality content relevant to your target audience, may work fine, they usually take a considerable amount of time and effort to give the desired results. Therefore, you may need more aggressive options if you really want to capture your share of the market. 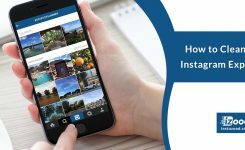 Among the various options available for you to reach your target market via Instagram, two options stand out distinctly. These are paid Instagram advertisements and Instagram bot options. Using any of these two options can help you to scale your sales by enabling you to generate enormous follow and unfollow from your target audience. Instagram paid ads is a viable option for business owners looking to generate instant results. They come in three main dynamics: static photo ads, video ads or carousel-type ads. Arguably Instagram ads have helped many businesses to find success; the option may, however, not be suitable for some other businesses. 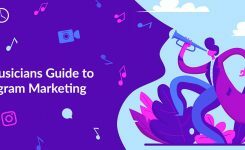 This is because Instagram ads require a considerable budget, making it difficult for smaller and medium-sized enterprises to create headways with the approach. You may also find your business competing with big brands in your niche that are already investing thousands of dollars to reach the same target audience. The advertising algorithm may favor companies with the highest budget in the long run since your budget can only push minimum bids. More also, there is the risk of not getting the target audience right if you didn’t engage the service of digital marketing professionals to guide you through the process. However, such guidance will come at an additional cost. Although you can achieve some success with Instagram ads, the high competition involves may muscle-out small businesses. The Instagram bot is another viable option that can help your business to gain enormous visibility through like/follow/unfollow services. The visibility can help you to generate the lead that will help you to grow your sales. 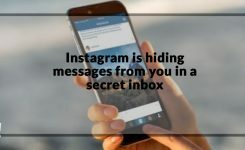 Previously, Instagram bots have earned negative attention due to the deceptive promises of providing users thousands of followers overnight. Majority of these followers were spam from fake accounts with nothing to offer users regarding real engagement. These earlier experiences with Instagram bots made people feel skeptical about adopting it as a marketing option. Instazood has however changed the game entirely for better. Our Instagram bot gives you like/follow/unfollow services in real time, helping you to attract real people that are interested in your content organically. This approach gives you excellent visibility and the engagement that will ultimately help you to drive growth for your business. The beauty of it all is that Instazood is really affordable, thereby offering your small business an excellent opportunity to improve its social proof and compete favorably with large businesses in their niche. The bottom line shows that Instagram bot would be a preferable option to Instagram ads especially for small and medium enterprises looking to build a genuine Instagram presence and scale-up their sales. Thus, if you’re looking for the best Instagram bot that guarantees real-time like/follow/unfollow service, Instazood is your sure bet. Instazood, Instagram bot contains many settings and filters that can help you to attract more active followers. We assured you that the “likes” and “followers” you get through our Instagram bot are genuine and not merely fake accounts. The “likes” you get are from real people who are genuinely interested in your content. Visit Instazood today for more details on how our Instagram bot can help you to build a reliable and trustworthy profile that can guarantee you a real return on your investment through genuine followers.